Last Minute Venue Change due to ongoing Renovations at Lago!! Here the campus plan: https://www.collegelacite.ca/plan_campus.htm We are in building E (it's circular building in the middle of the campus Free parking after 6pm on campus The room that we are in is: E1150 When you walk in to building E, it will be on the right at the end of the hallway. Join Us as we welcome our National President Derek Schwartzentruber to Ottawa! Derek will be joined by the Chairman of the Board Dennis Hampson. They are going to be here to congratulate the Ottawa Region on being the 2018 CPDJA Region of The Year. Come on down and Enjoy Free Pizza on the CPDJA. Also in attendance we will have Stephane Gonthier demo the Music and Event Planning App Vibo Stéphane is now a Rep for Vibo. This event is open to any and all DJ's that would like to attend this evening of fun and networking. Hope to see you there! Last Minute Venue Change due to ongoing Renovations at Lago!! The room that we are in is: E1150 When you walk in to building E, it will be on the right at the end of the hallway. Join us at our Next networking night April 16th. 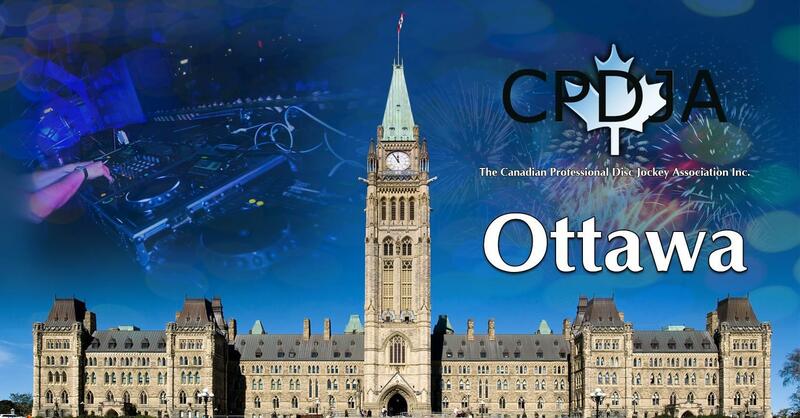 Joining us we will be welcoming to Ottawa our National President Derek Schwartzentruber, Derek will be joined by the Chairman of the Board Dennis Hampson. As a congratulations Derek and the CPDJA will be supplying Free Pizza for being the CPDJA 2018 Region of the Year!!. Also in attendace we will have Stephane Gonthier demo the Music and Event Planning App Vibo . This event is open to any and all DJ's that would like to attend this evening of fun and networking. Hope to see you there!